We are now shipping internationally. This versatile model attains excellent heat retention and has excellent quality at an economical price. This highly versatile model can be used in a wide variety of mountain climbing activities during snow cover, such as winter rock climbing and mountaineering. Woven fabrics typically do not stretch vertically or horizontally without the utilization of heavy elastic materials. However, when stressed along the diagonal the same fabric will show stretch characteristics. For overnight hikes or long trails, a good night's sleeping is extremely important. If fatigue carries over to the next day due to a lack of sleep, it can contribute to an inability to concentrate, which could possibly lead to a stumble and maybe even injury. "Warmth" especially is a crucial element that can determine whether or not you get a good night's sleep. Montbell's president Fumiaki Masaki will take us through a history of sleeping bags in Japan, the transitions in insulating materials, design and functionality, and the ever important concept of "warmth". The European Norm (EN) is a test designed and performed by an independent third party that seeks to standardize the way temperature ratings or thermal guidelines are established for sleeping bags. 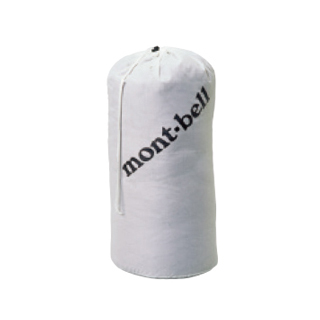 © 2007 mont-bell Co.,Ltd. All Rights Reserved.